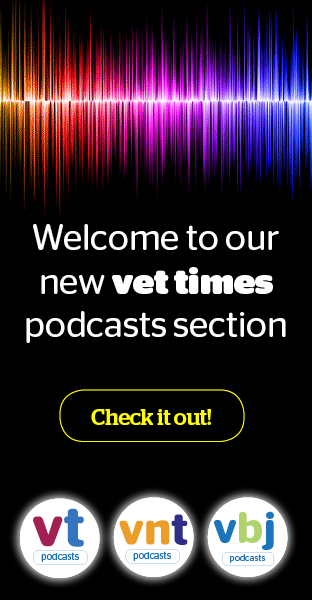 Laura Rosewell discusses managing emergency cases of dyspnoea, types of breathing diseases commonly seen in practice, and how these canine and feline patients can be supported by veterinary nurses – both during hospitalisation and after discharge. Albert Holgate shares his journey from animal lover to clinical manager, the challenges of being deaf in the profession and his aims as a BVNA councillor. International Cat Care behaviourist Elizabeth Waring looks at the hunting behaviour of cats and explains why they still do this despite being fed. Gayle Morrison and Victoria Robinson discuss prevalent causes of – and latest treatment options for – pruritic patients. This month, Matt reflects on the fluttering feeling of fear at the prospect of treating exotics patients, and considers how far the care of exotics species has progressed over the years. Ahead of her BSAVA Congress lecture, Nicola Ackerman, RVN, discusses how nurses are best placed to lead these arrangements in practices and stresses why her peers’ skills should not be undervalued. Looking at various studies and types of surgical attire through history, Claire Roberts discusses its efficacy in reducing surgical site infections. Marie Rippingale – who has been at the coalface for equine veterinary nursing for many years – explains why she believes district veterinary nursing should be formally recognised and how it could enhance well-being for all. Louise Northway tells us why she believes clinical audits are useful and how you can follow in her footsteps by implementing them in practice. Jamie Prutton discusses various diagnostic techniques and management options used for horses presenting with skin-related presentations. Having switched countries and careers numerous time, Tanja Klein reflects on her unusual route into the profession and why she loves her job. sponsored Why choose a Miele commercial washing machine for your practice? Commercial washing machines offer a host of benefits over domestic models for busy veterinary practices, where the spread of infection through cross contamination poses a very real threat. In the second part of a special feature on veterinary nursing clinics, Amie Britton explains how to choose and set up a clinic suitable to patient need. Ian Wright discusses the principles of controlling these parasites and the vital role VNs play in making recommendations for individual pets. Stud vet Kayleigh Barker explains how she coped taking her eight-week-old baby along to BEVA Congress, and how she believes combining motherhood with a career is achievable. Heather Kirkness refreshes readers’ understanding of dealing with tissue injuries in companion animals. VN Times hears from an RVN who, in pursuit of a bucket list ambition, took a year out of practice to embark on life-changing adventures. Amie Britton, in a two-part article, explores the increasing popularity of this VN role aspect and how to run it to achieve optimum result. This month, she explains the complexities of communication and how to conduct an effective consult.